Hopefully you’ve all been watching National Geographic’s Great Migrations and are fascinated by the idea that organisms can move, en masse, across huge distances and survive problems of predation, starvation, and weather. However, as you find yourself engrossed in the migration stories from plankton to African elephants, don’t forget that there’s an amazing migration story happening practically in your backyard (if you live in northern Colorado or Wyoming, that is): Pronghorn Antelope (Antilocapra americana). Animals belonging to the pronghorn family have been in North America for over 20 million years. Today only the species A. americana remains, and more of those pronghorn live in northern Colorado and Wyoming combined than any other place in North America. Every fall, hundreds of pronghorn complete the second-longest migration in the Western Hemisphere: over 100 miles from Grand Teton National Park to their winter range Upper Green River Valley in Wyoming. Their summer range in the Grand Tetons is too cold during the winter, and without enough food, but Wyoming has everything they need. Pronghorn have been making this migration for over 6,000 years. The migration corridor, 125 miles long and only 1 mile wide, is threatened by the presence of people, but pronghorn still make the trek every year, crawling under fences, crossing busy roads, and avoiding human development whenever possible. In 2008, biologist and photographer Joe Riis was the first to document the entire pronghorn migration on foot. Watch the beautiful footage here. One of the best places to see pronghorn in Fort Collins is at Soapstone Prairie Natural Area, just north of the city. The winter pronghorn population there ranges from 300-450 individuals. However, if you want to see pronghorn at Soapstone Prairie, you’d better hurry. The natural area closes December 1st and won’t open again until March 1st. Don’t worry, though. The pronghorn will still be there. 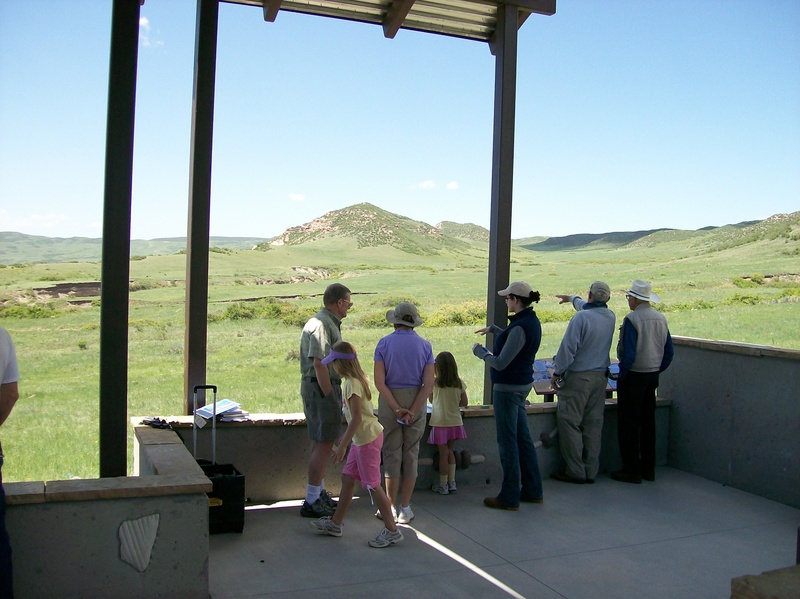 The folks at Beet Street (our Fort Collins community arts and cultural organization) wrote a great blog post yesterday about a visit to Soapstone Prairie Natural Area (SPNA). They very kindly gave a shout-out to the Museum’s recently published booklet, “The Excavation of Lindenmeier: A Folsom Site Uncovered 1934-1940.” The booklet is a great resource if you’d like to know the in-depth story of this amazing archaeological site, from discovery through excavation. Although the site itself is not accessible to the public, you can visit the Lindenmeier Overlook at SPNA and get a great view of one of the most important early human habitation sites in North America. I feel a little sheepish because we put a great deal of work into producing the booklet, and I have neglected to talk about it here on the blog! So, thank you to Beet Street’s post for giving me a reminder. 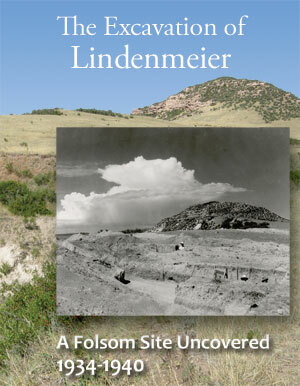 The Lindenmeier booklet was part of a Preserve America grant that the Museum received in 2008. We had received our first Preserve America grant in 2006, which allowed us to conduct an extensive oral history project, interviewing over 40 people with ties to Soapstone Prairie; we produced a short video and a research report as part of that grant. For the second grant, we produced another video (“Meeting in the Center with Respect”), the Lindenmeier booklet, and a web-based cultural heritage tour guide (which will be launching soon). Soapstone Prairie, and the Lindenmeier Site in particular, are very dear to our hearts at the Museum. 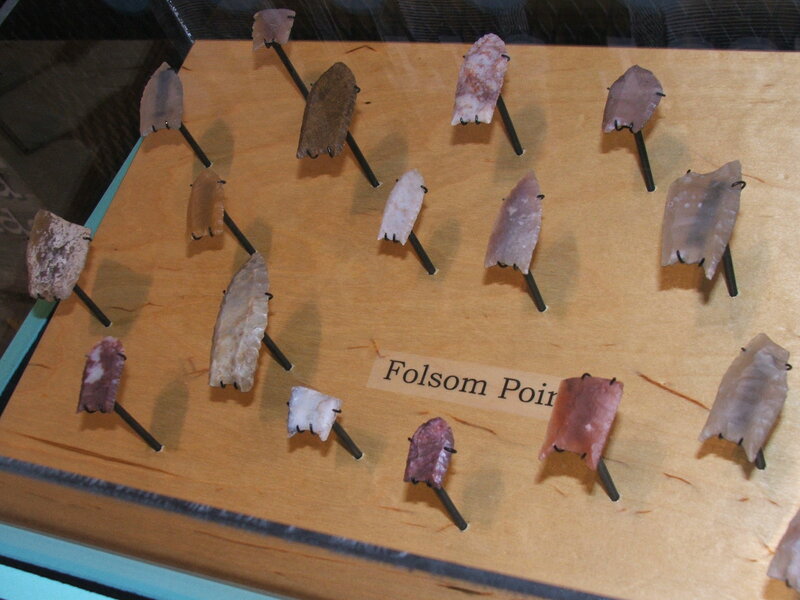 We have the largest public collection of Lindenmeier artifacts outside of the Smithsonian Institution, with a fine assortment of Folsom points, scrapers, awls, and other tools on exhibit in our gallery. In 2000 we put on a major exhibition called “Dig It!” which provided a detailed look at the excavation. This story will also play a prominent role in our new museum. The story of Lindenemeier is a national treasure, and it’s right in our backyard. The Lindenmeier booklet is available, free of charge, in our Museum Store. If you can’t swing by to pick up a copy, you can also download a PDF of the booklet from the Museum’s website. I will echo Beet Street’s blog and say, learn a little about Lindenmeier, and then get up to Soapstone. And prepared to be awed! Next in our series of behind-the-scenes looks at what makes the Fort Collins Museum & Discovery Science Center tick, the roving More to Explore reporter ambushed interviewed Katie Bowell, Curator of Cultural Interpretation and frequent contributor to this blog. Part I of a two-parter. More to Explore: What does a Curator of Cultural Interpretation do? Katie Bowell: My primary job is to be the liaison between the Museum and the City’s Natural Areas Program, and so I help to interpret the historical and cultural stories of our natural spaces. And I also help bring biology, ecology, and other natural processes into the interpretations we’re doing in our museum. Since I’ve been here I’ve also helped develop a variety of interpretive resources, and I work on the Digital Media team and have a lot of fun with our blog and our website and Facebook. So I get to do a little bit of everything, but the main focus in almost everything that I do is still that intersection between history, culture, nature, and science, how to create interdisciplinary narratives and interpretations. It’s really interesting, I haven’t done anything like this before and when I mention what I do to most people, usually they’re surprised, and then they think it’s really cool. MtE: What are some of the projects you’ve been working on? KB: The very first thing that I did when I got here was to work on the Soapstone Prairie project, which had been something that the Museum and the Natural Areas department and the City of Fort Collins had been working on for a couple years before I got here. It’s an incredible shortgrass prairie property, and on it was the Lindenmeier Archaeological Site, one of the largest Folsom-complex sites in all of North America and one of the most diverse in terms of the artifacts found there and the people who lived there. And this is where the Museum-Natural Areas partnership really started, working on the Soapstone project. Mmy first job was to help develop the interpretation up there. So we have interpretive panels, and we have volunteer-led programs that go on all summer long, and in our first summer I think it may have been the most visitors to programs that they had at a natural area—somebody told me that, but I don’t know for sure. And so it’s been very successful. I’ve worked on that, and I worked on the Lindenmeier booklet [recently published by the Museum], and did a whole bunch of interpretations with Natural Areas. We re-did interpretive panels and developed a booklet for Bobcat Ridge Natural Area, focusing on the pioneer and early European history of the property, and interpreted some of the buildings that are still there. One of the things that I’m really proud of is our blog. I have loved being a contributor to it, and it’s so fun. It’s a great way for me to keep learning too, because along with writing about things that I know, I’ll hear something on the news that I don’t have a background in and half an hour later I have just enough knowledge to be dangerous, and I get to write about it. I also do training with Natural Areas staff. One of the things that the Museum is very passionate about is that if you’re going to interpret history, if you’re going to interpret people, that you do it with care and consideration, respect for the stories you’re telling and the people they’re about, and with as much accuracy as you possibly can. So we’ve had great cultural training sessions with Natural Areas staff, so now the people out there are not only fabulous interpreters of biology and ecology but are great interpreters of history too. I’ve given a couple of presentations throughout the state on how to do this as well, for Colorado Open Spaces and even the Colorado Preservation Society, so we’ve gone to people who normally interpret nature and said, how can you add history to this?, and we’ve gone to people who interpret history and say, how can you add some nature and biology to this? And so we keep smushing everything together. Since I’ve started here, the last year and a half, I’ve gotten to learn the history of Colorado and western America. I’ve been really immersed in learning about the native cultures we work with and their histories, and getting really a much broader and more interesting perspective on our experience here in northern Colorado than I would have ever thought about, I think, if I had lived here and just continued to be a biologist. So I love that part of my job is that I get to keep learning all the time. This past weekend, Soapstone Prairie Natural Area officially opened to the public (the opening of Red Mountain Open Space was delayed until this weekend because the recent rains had made the roads too soft). We had the most beautiful Saturday you could imagine, and while we were greeted on Sunday by lightning and hail (remember: it’s a remote site and the weather changes, so always be prepared), approximately 500 people visited. While I have a lot of thoughts about the opening weekend, the main one is this: Thank you. Thank you to the voters of Fort Collins and Larimer County for allowing the city and county to purchase and preserve these properties and the cultural and natural histories on them. 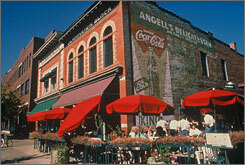 Thank you to the managers who developed the properties’ management plans, the surveyors who discovered the properties’ ecological and archaeological resources, the researchers who gathered hours upon hours of oral history interviews so we could learn about the peoples who called this land home, and the educators who put all the information together for the public. Thank you to all the city and county volunteers who will interpret and protect Soapstone Prairie and Red Mountain. I know that both our visitors and the cultural and natural treasures will be in good hands with you. Finally, thank you to all the visitors who came this weekend, and everyone still to come. As soon as you step on Soapstone Prairie or Red Mountain, you become part of a story of the connections between people and the land that’s been told there for over 12,000 years. I hope you’ll find that as special as I do. On Saturday, Ram Nation, CSU’s Native drumming group, performed. One of their songs was an appreciation song — sung at events to thank planners, volunteers, and participants for everything they do. That song echoing out across the plains and up the Cheyenne Ridge was a more eloquent and moving gesture of thanks that I can give. I wish everyone could have heard it.